The southern Oregon coast is a beautiful and exciting place to visit and play. 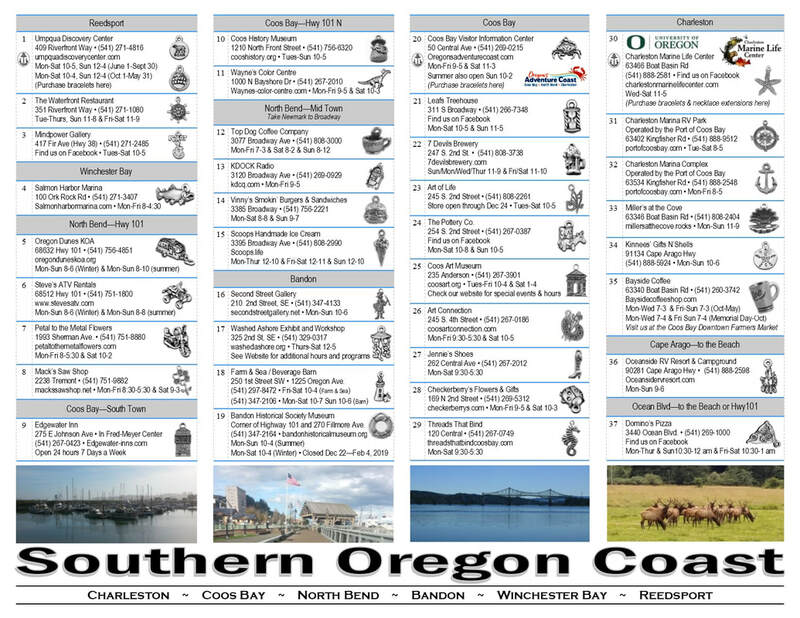 Join us for a fun adventure as you visit six coastal communities and 34 participating local venues. 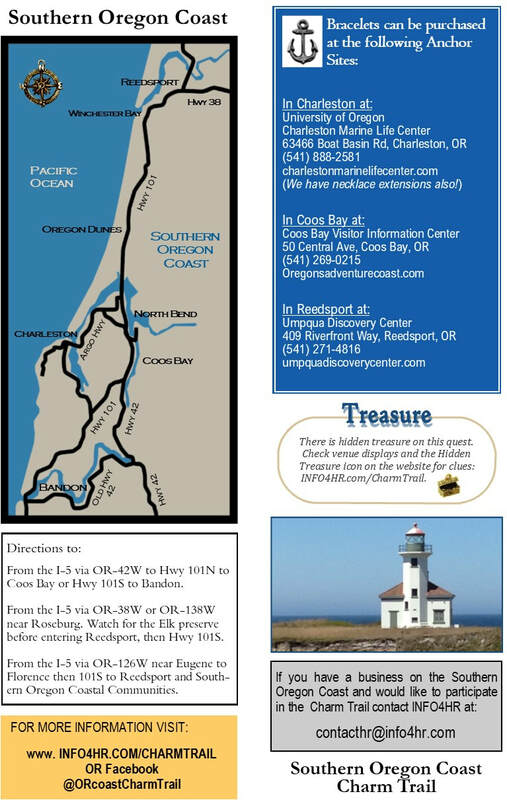 This is a great way to enjoy the Southern Oregon Coast, have an adventure, get inspired, find a one-of-a-kind souvenir, participate in a quest and experience the local culture. Pick up your bracelet and special year charm at one of three anchor sites for $5.00. Visit each stop on the map and add other charms for $2.00 each. 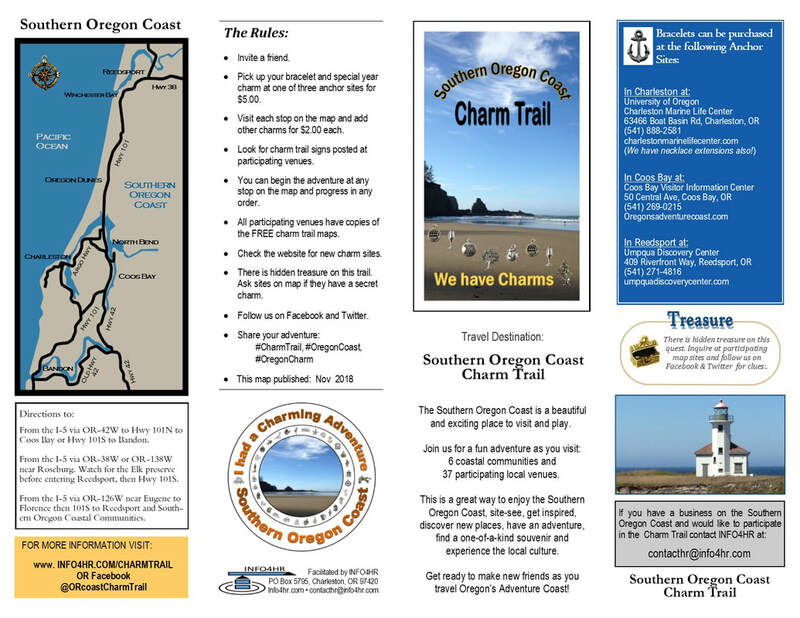 Look for charm trail signs posted at participating venues. You can begin the adventure at any stop on the map and progress in any order. All participating venues have copies of the FREE charm trail maps. Check the website for new charm sites. There is hidden treasure on this trail. Ask sites on map if they have a secret charm.